Interested in buying a house, taking out a car loan, or starting a business? Then you should be mindful of your credit score. Your credit history is crucial to many financial decisions. There are several pieces of information that are used in calculating your credit score, such as payment history, including bankruptcy and foreclosure status, credit history, and debt to income ratio. Very few people realize how much weight a credit score has. Research shows that households with higher credit scores are able to purchase better homes in better school districts. These ideal homeowners maintain high credit scores by paying creditors on time, avoiding unnecessary credit, and steering clear of excessive debt. It might seem daunting to maintain a good credit score, but there are plenty of simple and secure ways to do this. Keep track of all your expenses: It’s important to be aware of your own spending habits. Keep a detailed record of any ATM card usage, credit card transactions, and the checks that you have written. Review your statements monthly, not only to budget for yourself but also to watch out for any fraudulent spending. Pay on time: You may think you’d never miss a payment, but it’s easier than you think. Even one forgotten payment can tank your credit score. Draft a detailed payment schedule for yourself and stick with it. Payment history plays a critical role in the calculation of your credit score, so paying off your debts on time will have a huge positive effect. Avoid exceeding the credit limit on credit cards and other credit lines: Reducing high balances on credit cards can significantly boost your credit score. Your available credit refers to the amount of credit that you currently hold. You should ensure that your spending doesn’t fall below this amount. Consider the 20/10 rule. The 20/10 rule suggests that you should avoid spending more than 20% of your total annual income with a credit card. Additionally, you should make sure that you don’t spend more than 10% of your monthly pay with a credit card. Only close accounts if you need to: Credit history accounts for 15 percent of your credit score. The older your account with a credit card company is, the better. This is why it is recommended to keep a few extra accounts open simply so they can age. In addition, if you close an account, your total credit utilization (30 percent of your score) will go up, in turn lowering your credit score. Set aside an emergency fund: Without an emergency fund, you may end up drowning yourself in further debt. If you suddenly lose your job or you or your partner gets sick, an emergency fund can help reduce the financial blow of these unfortunate situations. This emergency fund will help you avoid payday loans or other forms of advanced-credit, which is good since these usually have high interest rates and can put you into more debt. Consider refinancing: Refinancing (if applicable) rewards you for opening new credit and opening up an installment loan. 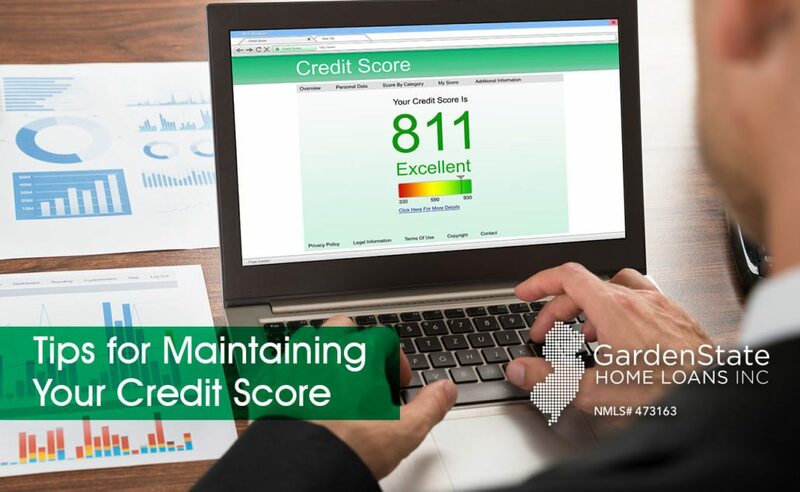 Your score benefits from a mix of credit, installment loans (mortgages, auto loans) and revolving loans (credit cards and HELOCs). Adding an installment loan to your mix can raise your credit score. Track your credit score: A 2013 Federal Trade Commission (FTC) survey reported that 1 in 5 Americans have errors on their credit report, which can negatively affect your credit score. You can check your credit report for free at AnnualCreditReport.com, a federally authorized website. Analyze the reports for accuracy by cross-checking them against your other documents. and report any discrepancies to the credit bureau. It’s a good idea is to have a credit report filed every year in order to make sure your loan payments have been recorded.